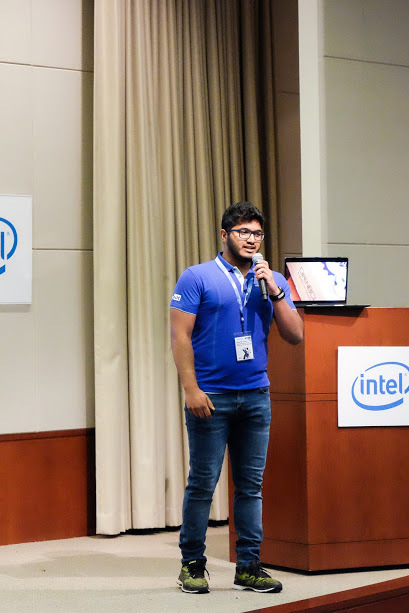 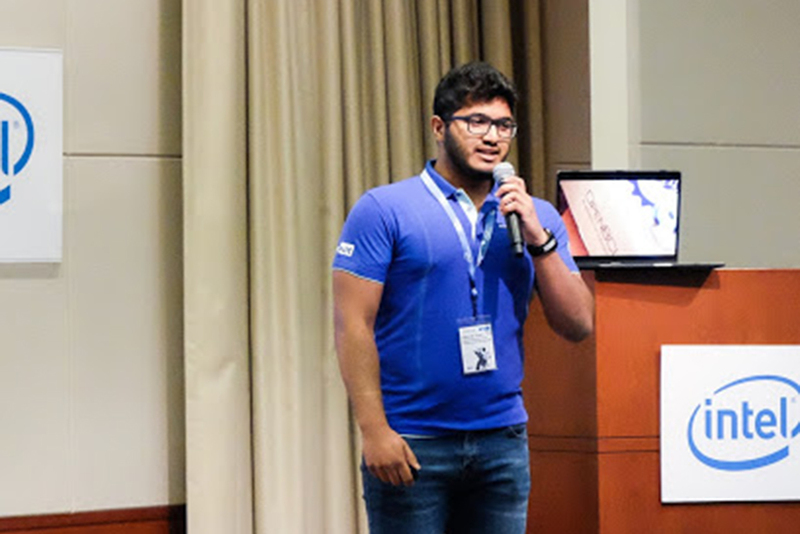 InnovateFPGA Grand Final officially lauched at Intel, San Jose! 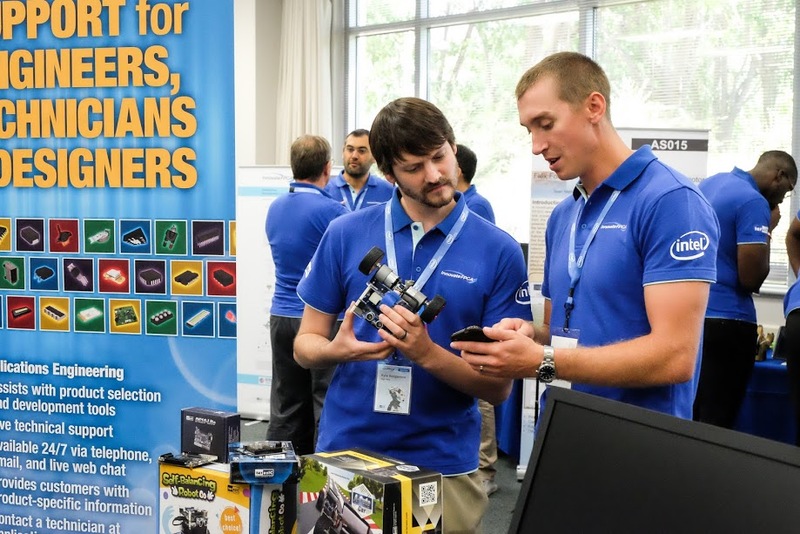 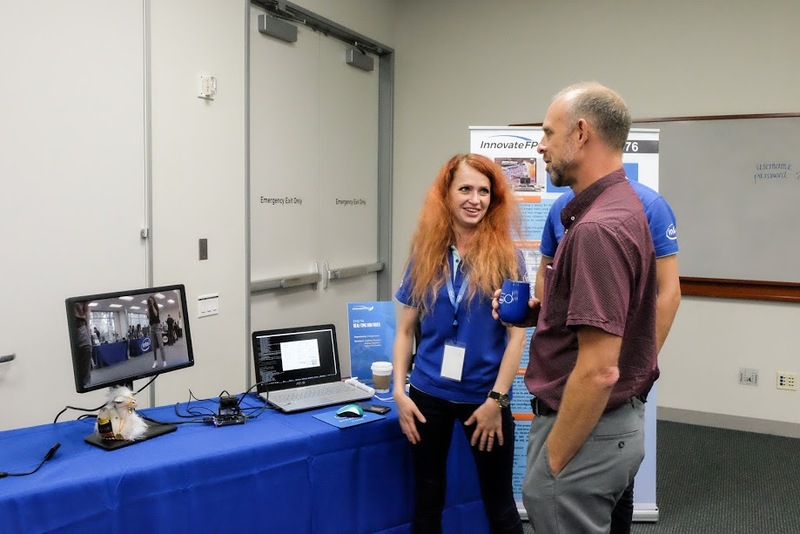 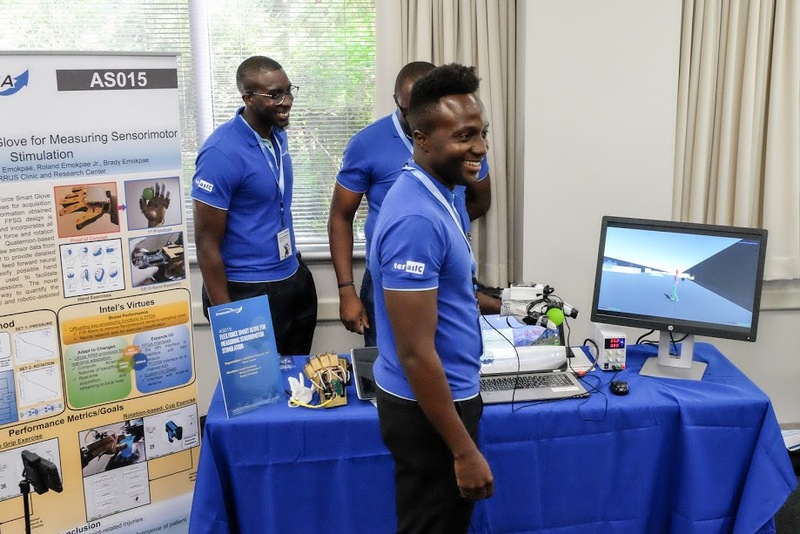 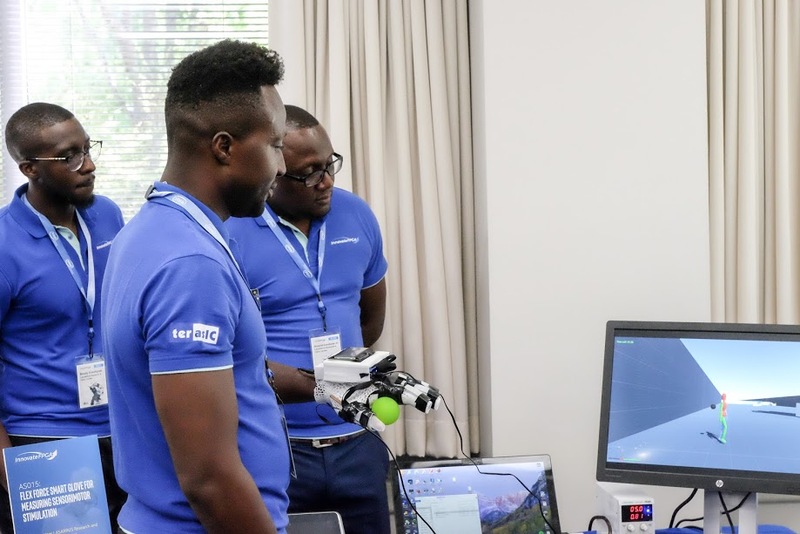 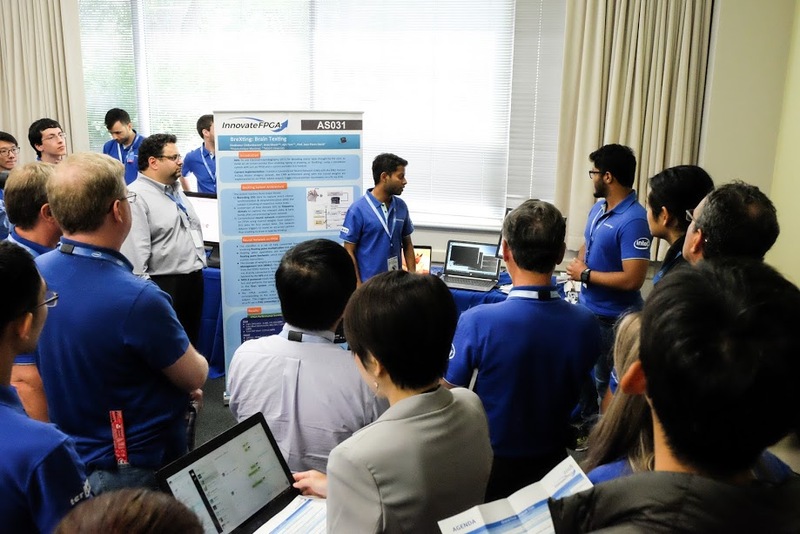 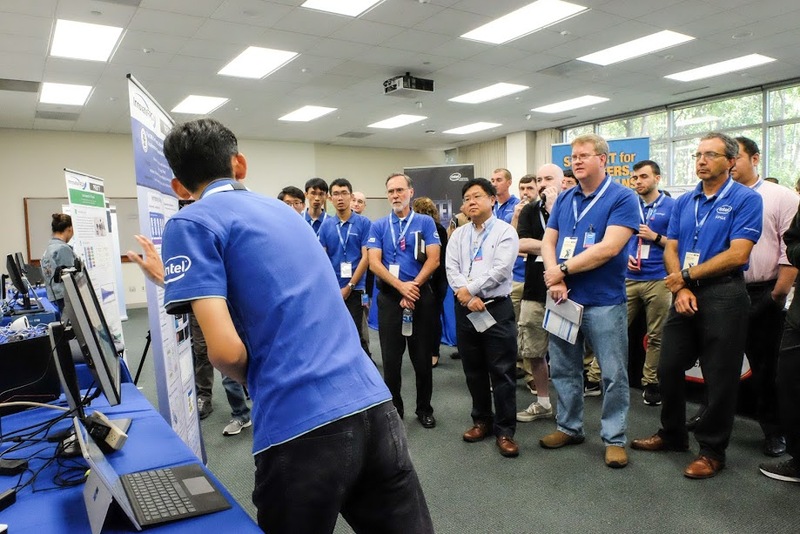 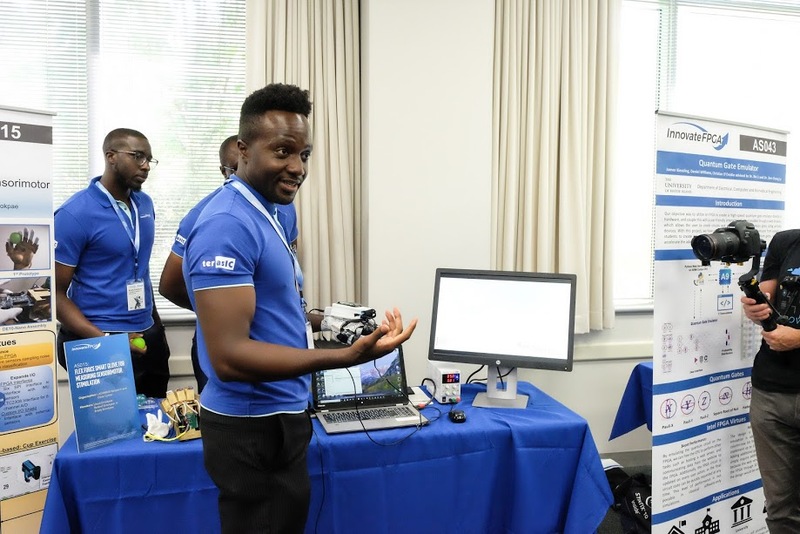 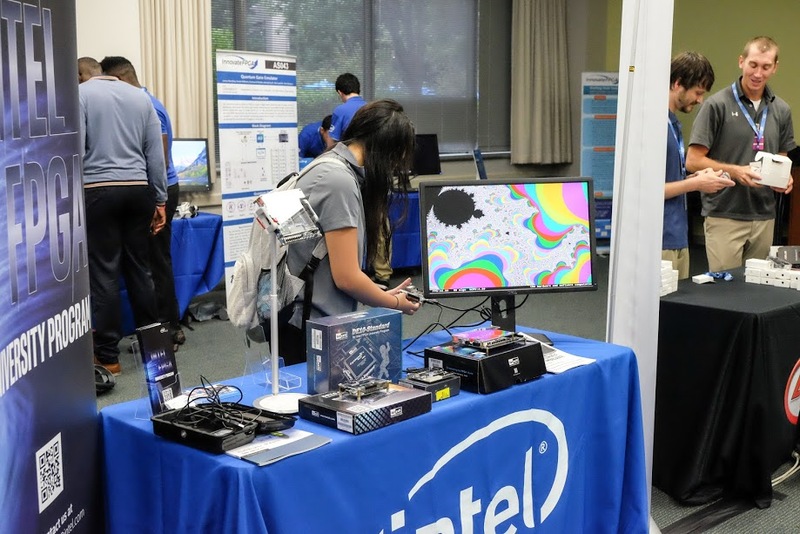 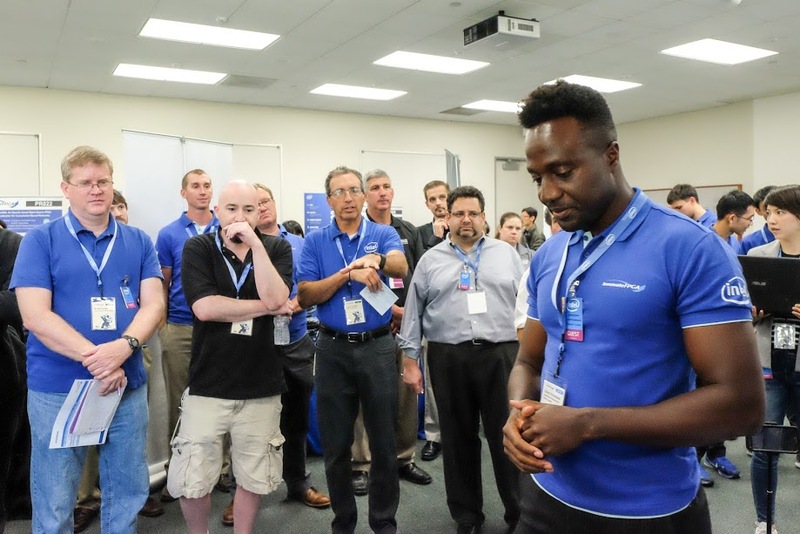 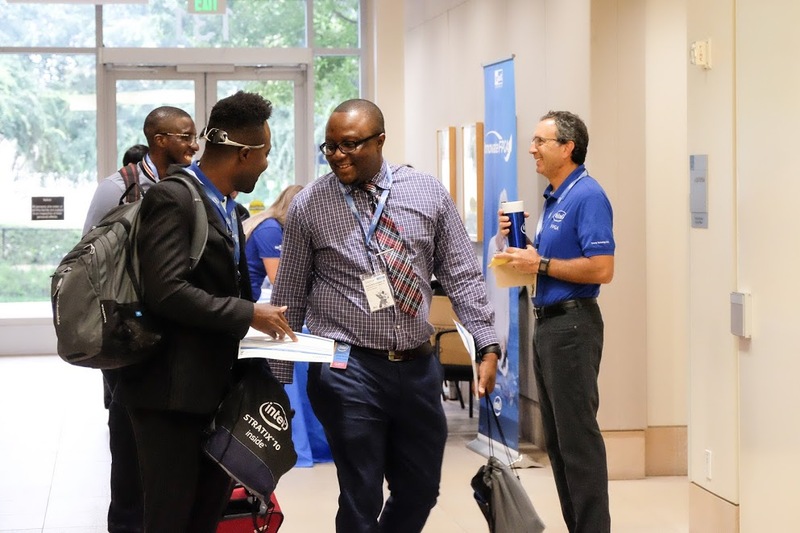 Intel FPGA University Program showcases exciting demos based on Terasic FPGA boards! 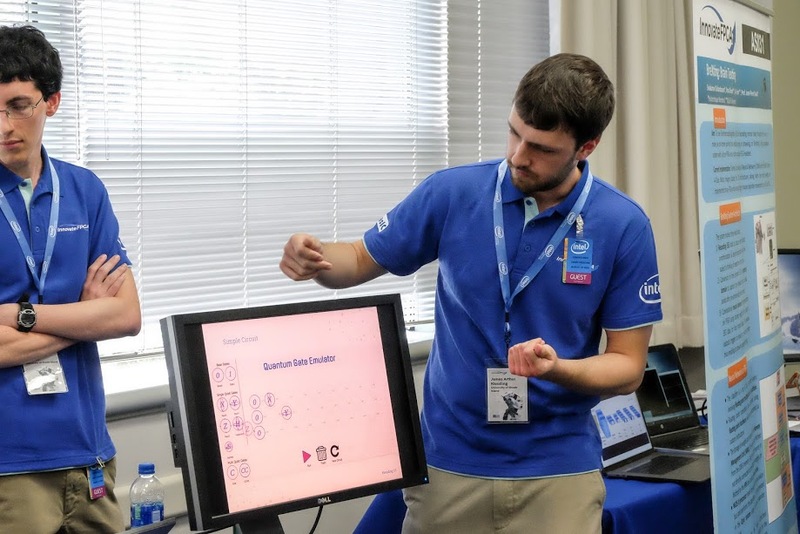 Newly-wed couple from Russia rehearsing for their presentation. 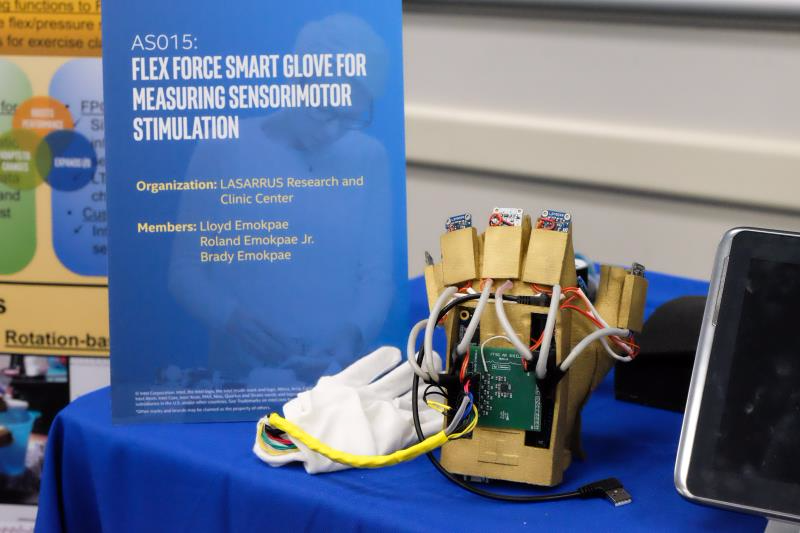 The family from Lasarrus Clinic and Research Center invented "Flex Force Smart Glove." 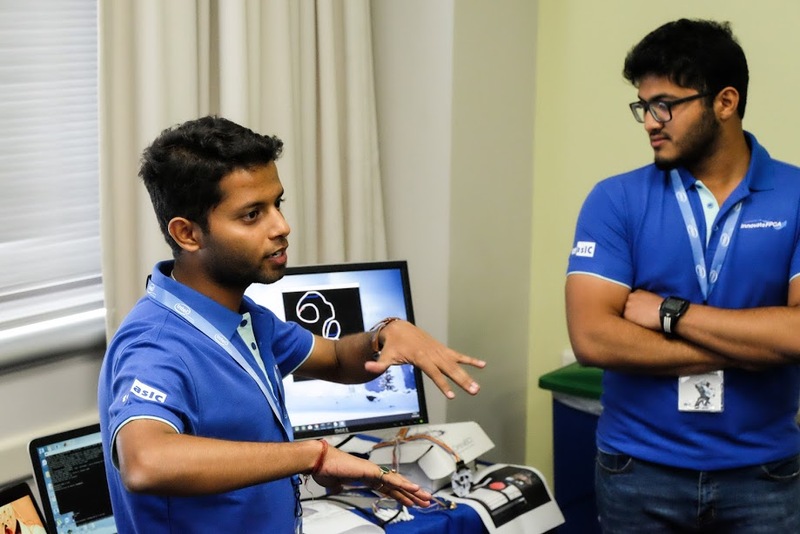 The team from Malaysia is setting up their project - VR/AR Sensor Hub. 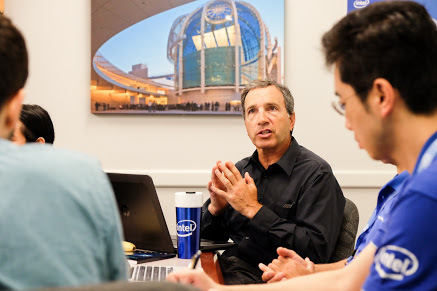 Ron Wilson, the Chief Editor of Intel, is the MC of the first InnovateFPGA Grand Final Contest. 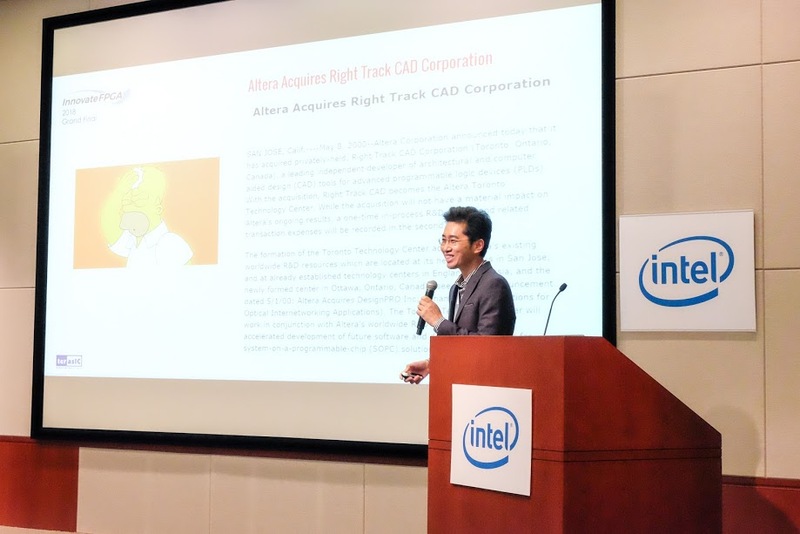 Sean Peng, the CEO of Terasic, gave an opening speech on the history of Terasic-Intel collaboration and the origin of Innovate Contest. 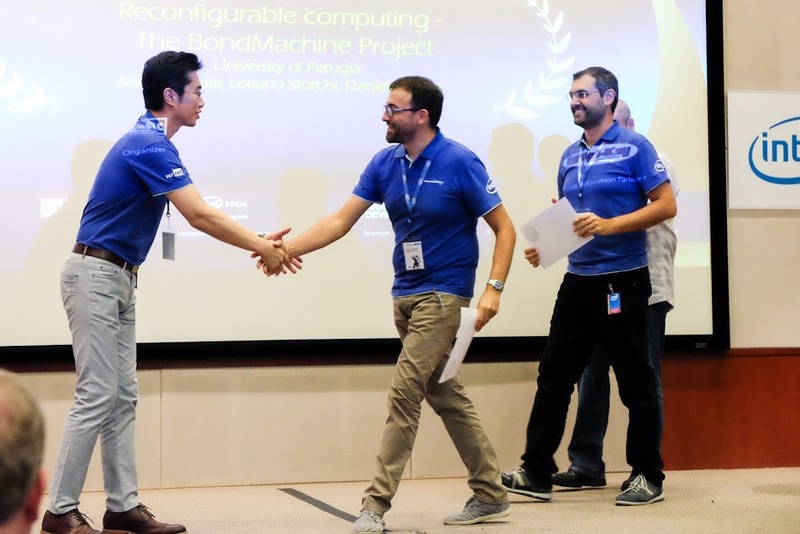 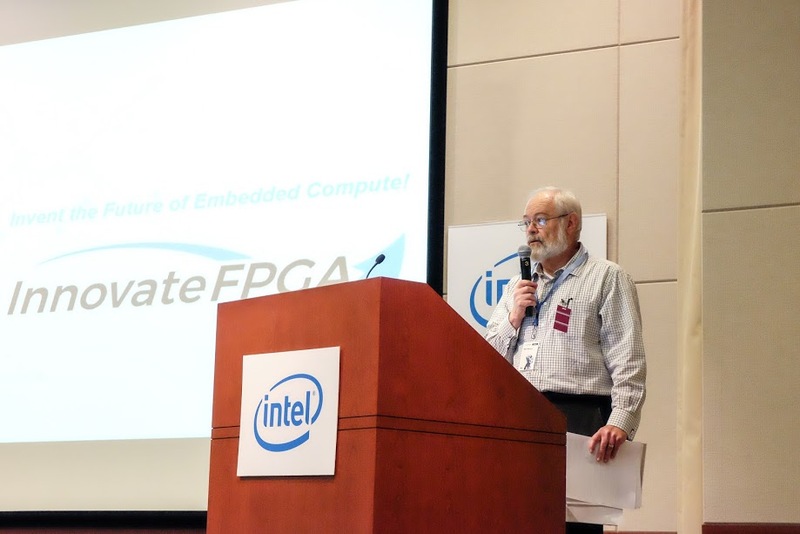 David Moore from Intel gave a keynote speech on the 1st InnovateFPGA Grand Final! 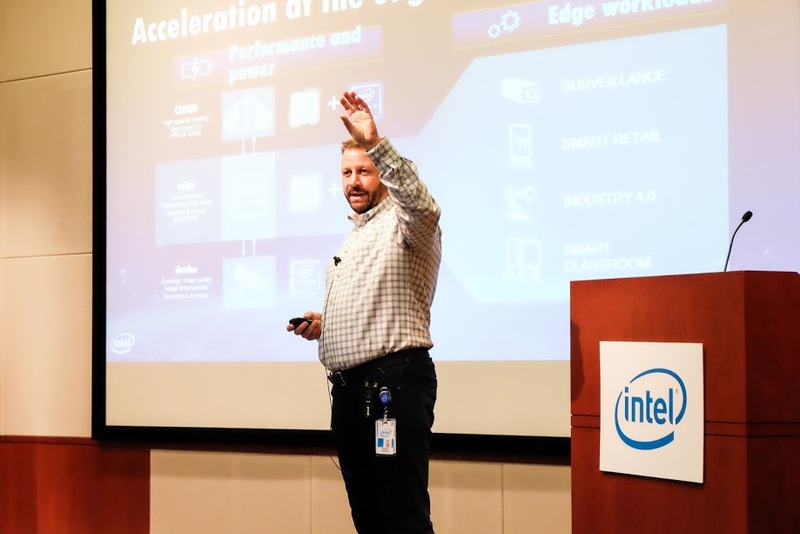 David Moore, the GM of Intel PSG, Embedded Division, talked about the importance of InnovateFPGA to Intel FPGA's development passionately during the opening ceremony. 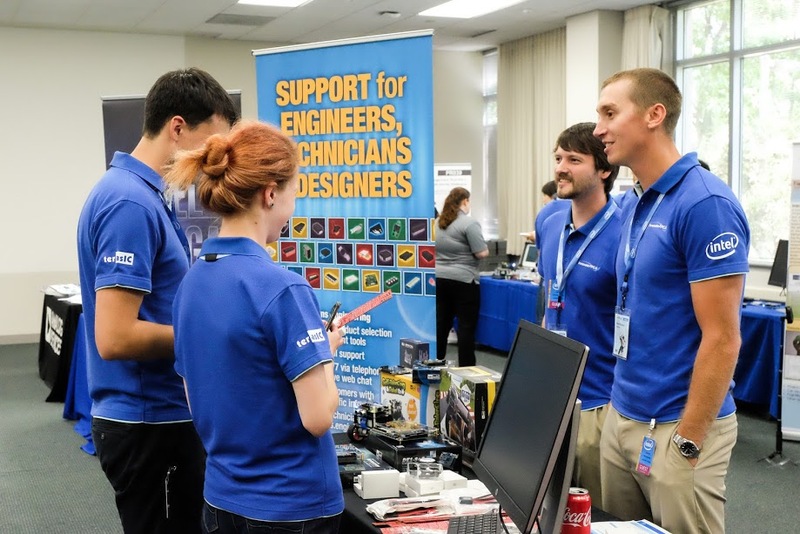 Booth and teams' design posters. 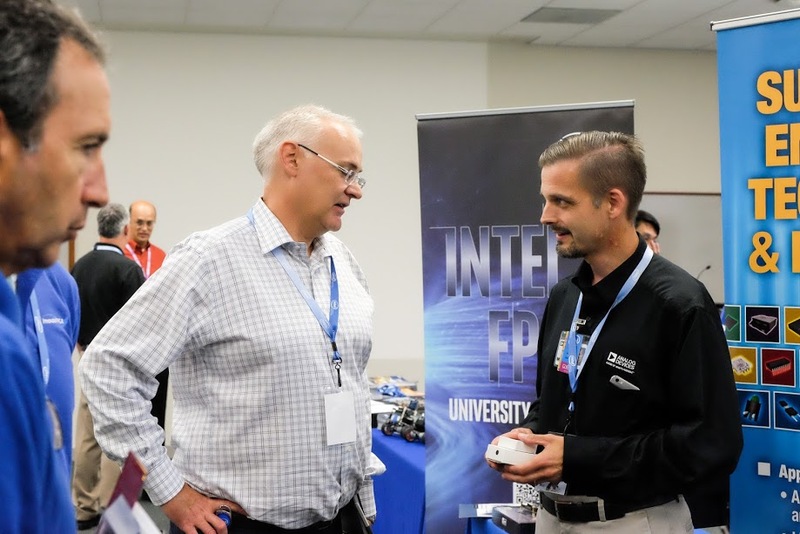 Terasic showcases the self-balancing Robot - the most popular FPGA-based robot loved by both makers and engineers. 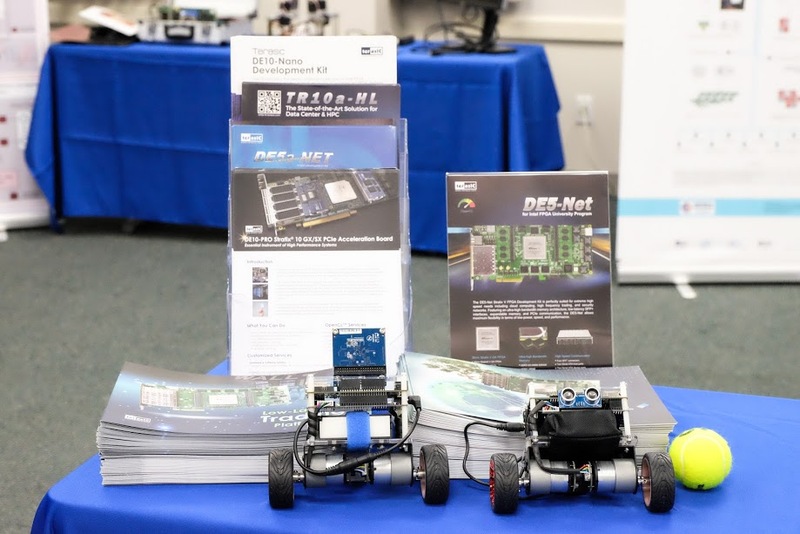 DigiKey exhibits Terasic's Self-balancing Robot and the DE10 board series. 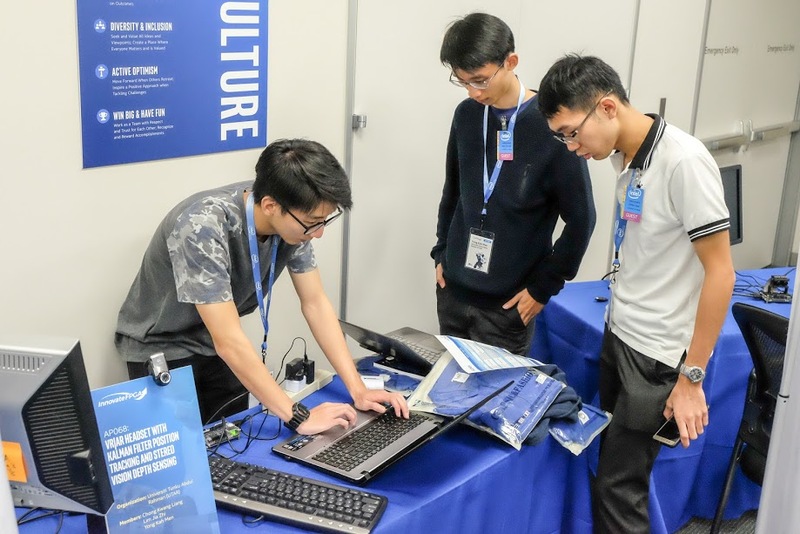 DigiKey staff introduces Terasic's Self-balancing Robot and the DE10 board series which are well-received by both academic and industrial market. 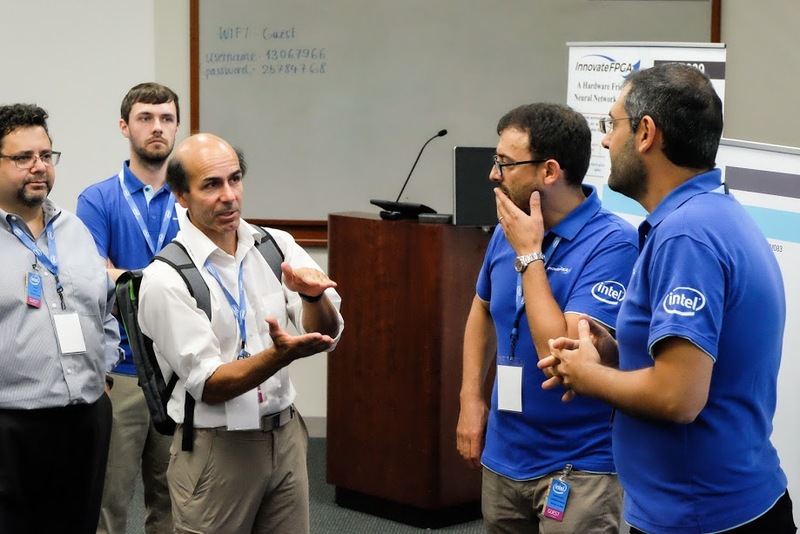 Judge committee consisting of eminent scientists from both academia and industry raise questions to every team and verify the performance of each project. 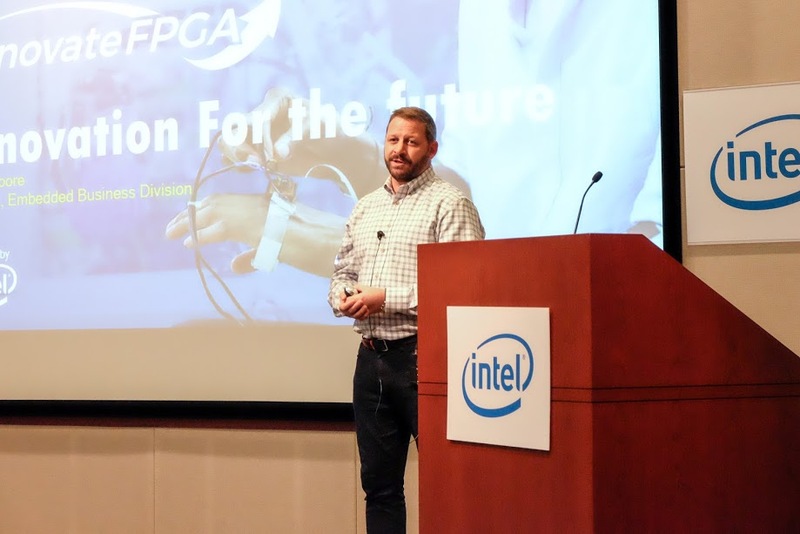 Flex Force Smart Gloves - a powerful aid to patients' rehabilitation. 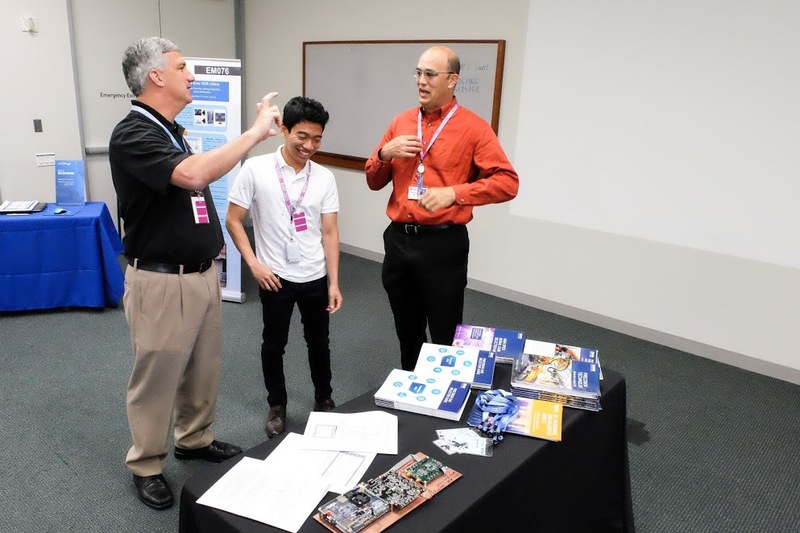 Prof. Athanas from Virginia Tech gave his judgements on site. 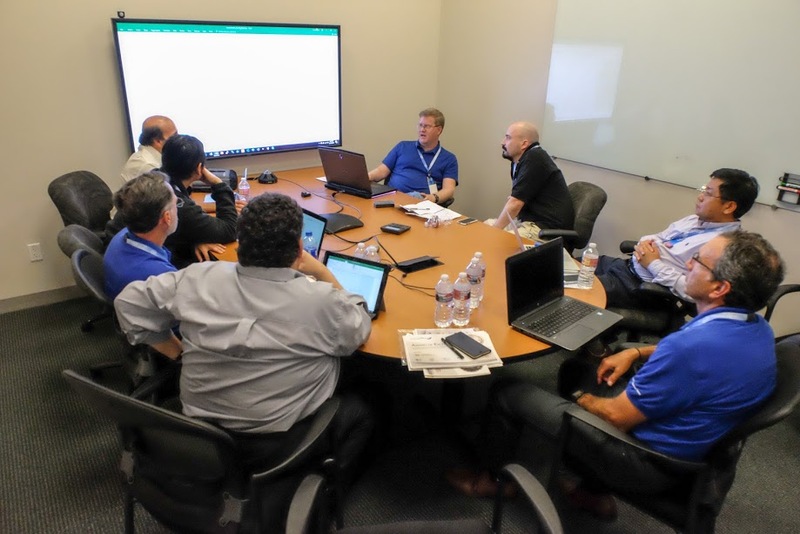 Prof. Scott Hauck raised questions and tested the project during demo session. 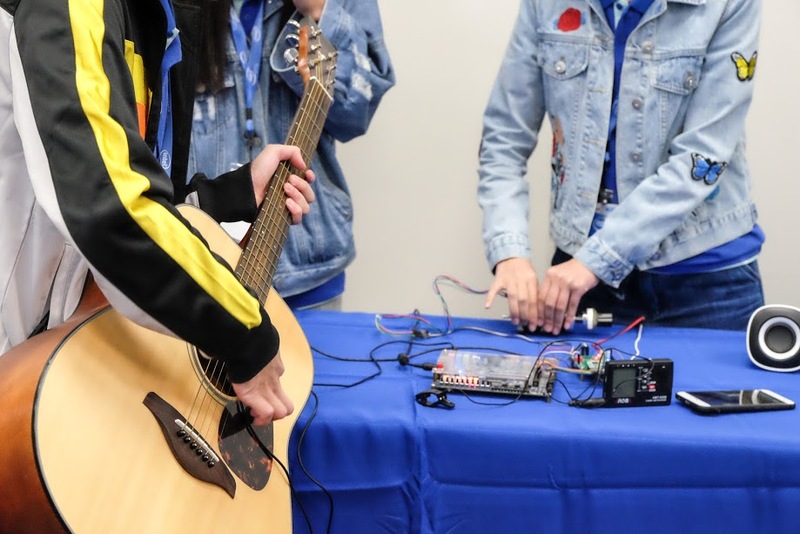 Demo Session – team from ChongQing University explained their design concept of Automatic Tuner. 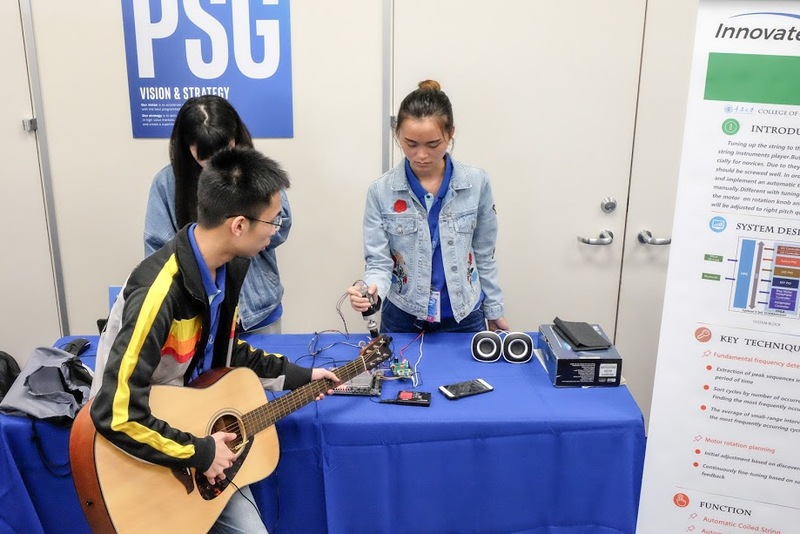 Demo Session– team from ChongQing University demonstrated their FPGA-based Automatic Tuner to judges and guests. 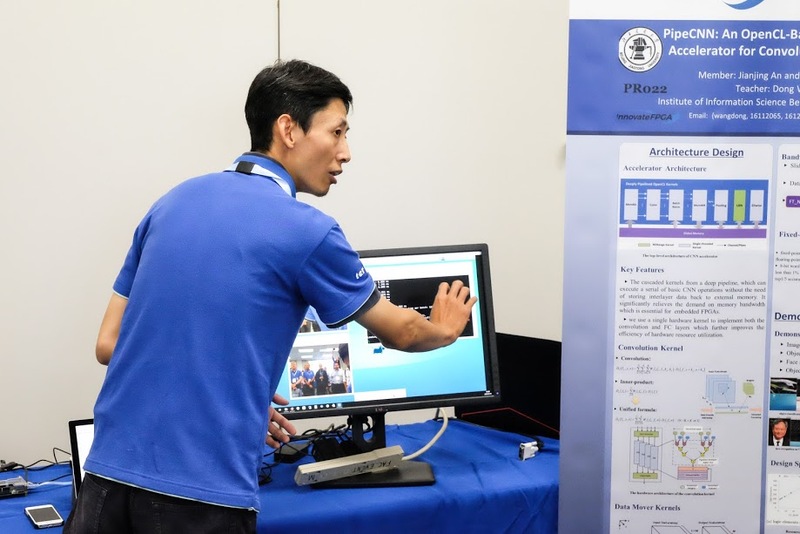 Prof. Wang Dong explained his design concepts in front of experts and guests from around the world. 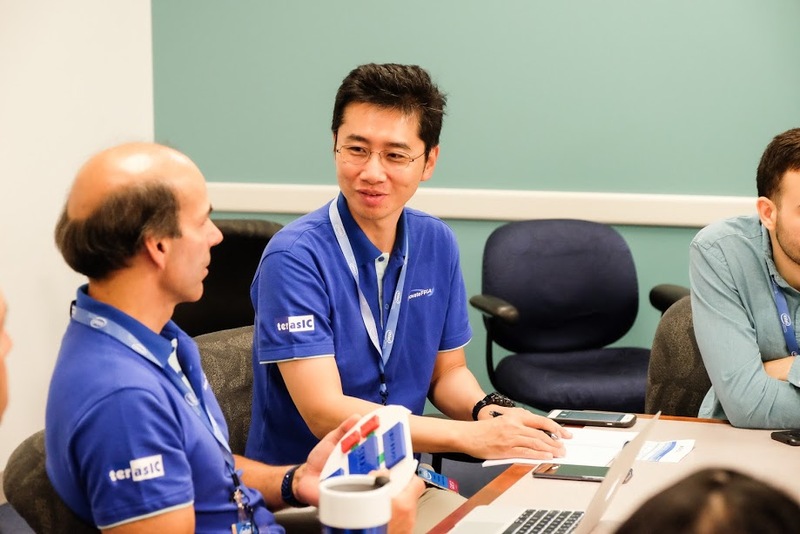 Prof. Wang Dong explained his design concepts and principles to eminent scientists. 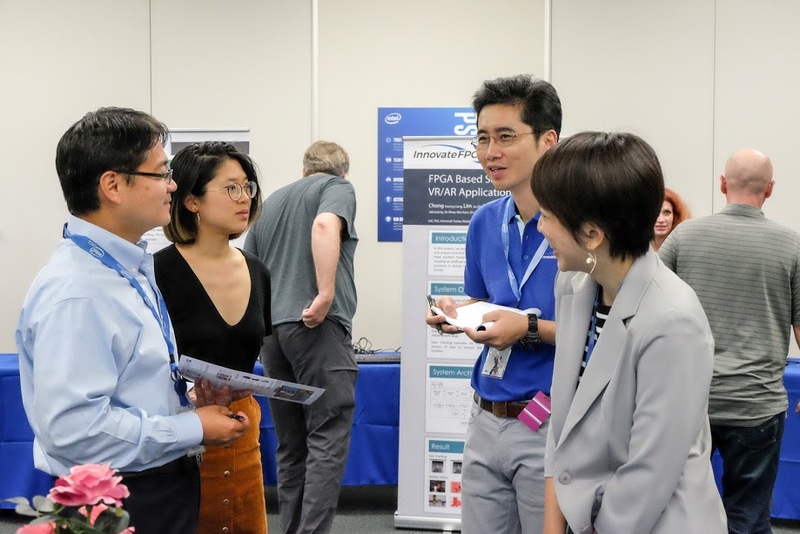 Academia & Industry shared experience during networking hours! 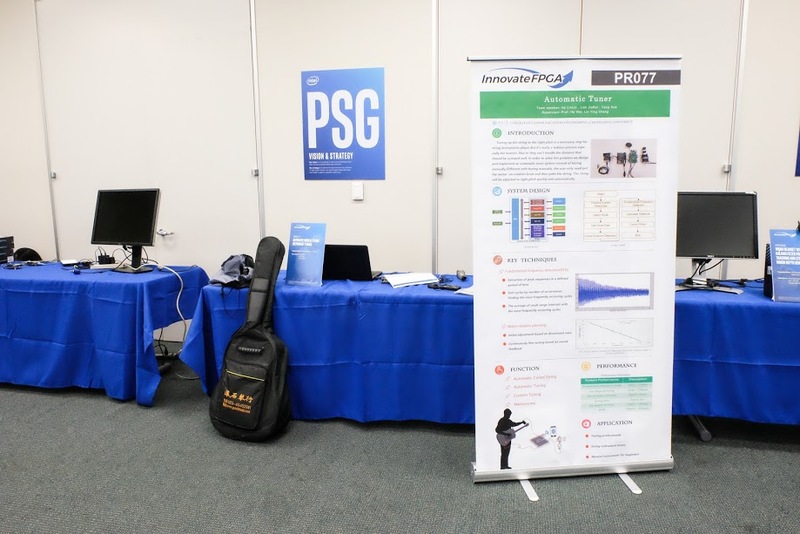 SP-Team from Russia built a device for shooting real-time HDR (High Dynamic Range) video using FPGA and won the Silver Award! 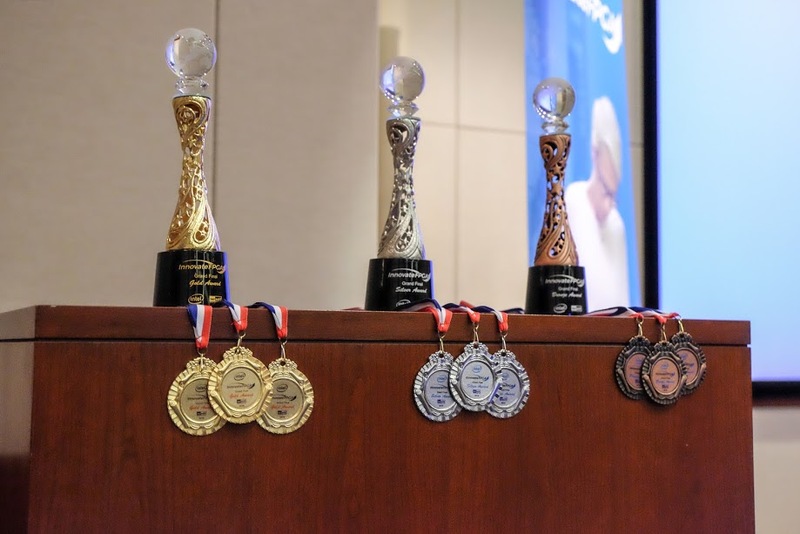 InnovateFPGA Award Ceremony – exquisite trophies & medals for the top 3. 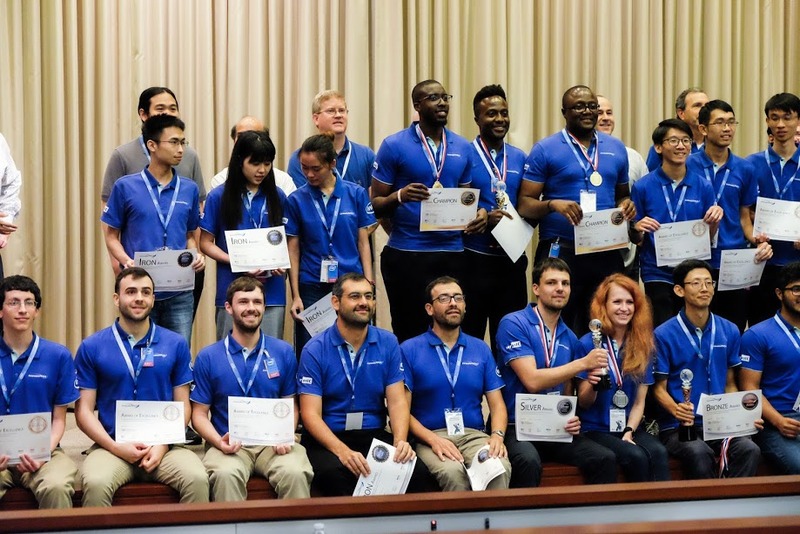 A great panel of judges committee comprised of scientists from academia & Intel. 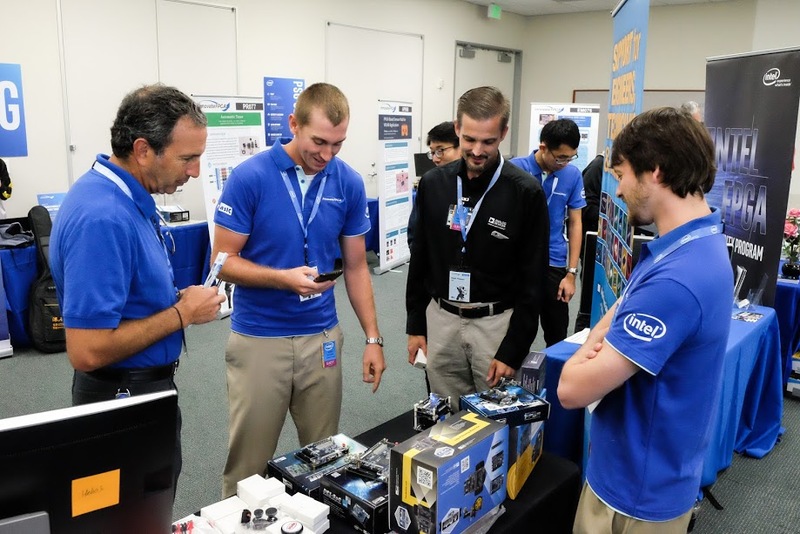 Sean Dougherty (1st right), Senior Director of Intel PSG Worldwide FAE, served as the award presenter. 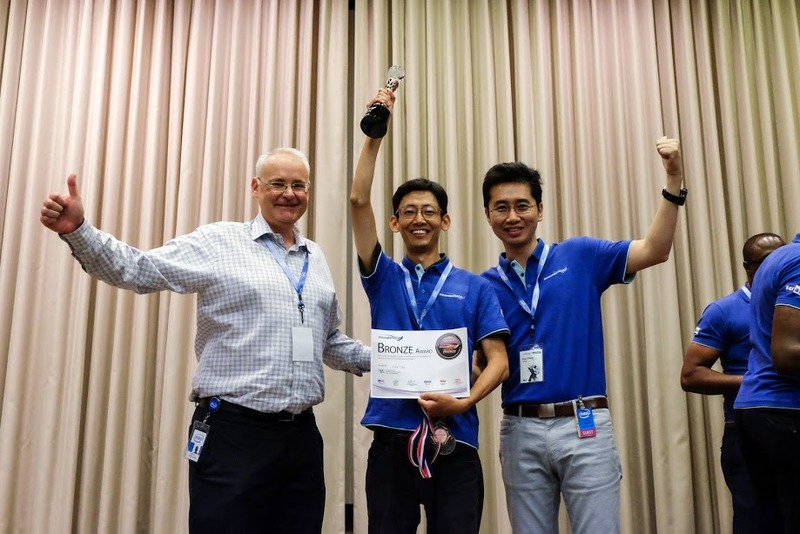 Terasic’s CEO, Mr. Sean Peng heartily congratulated the winners! 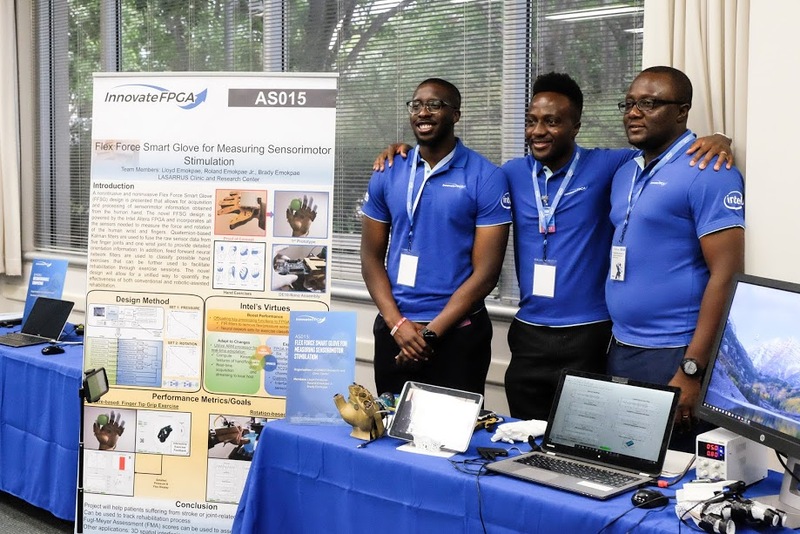 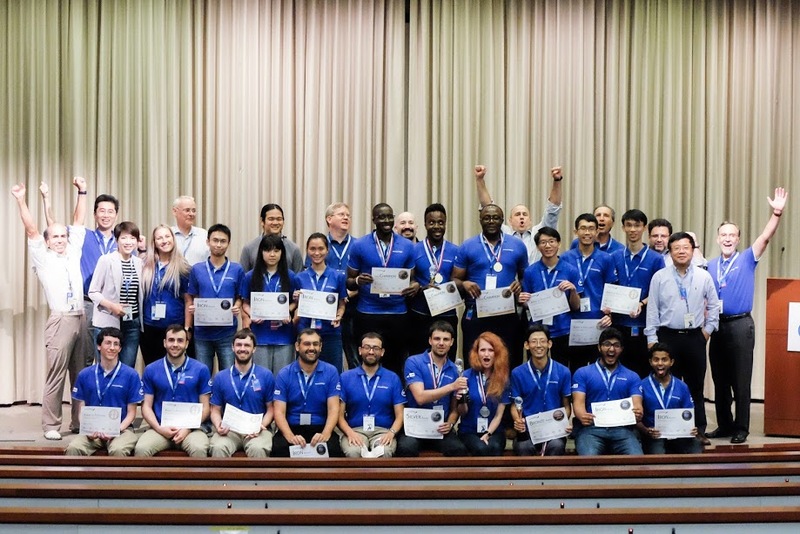 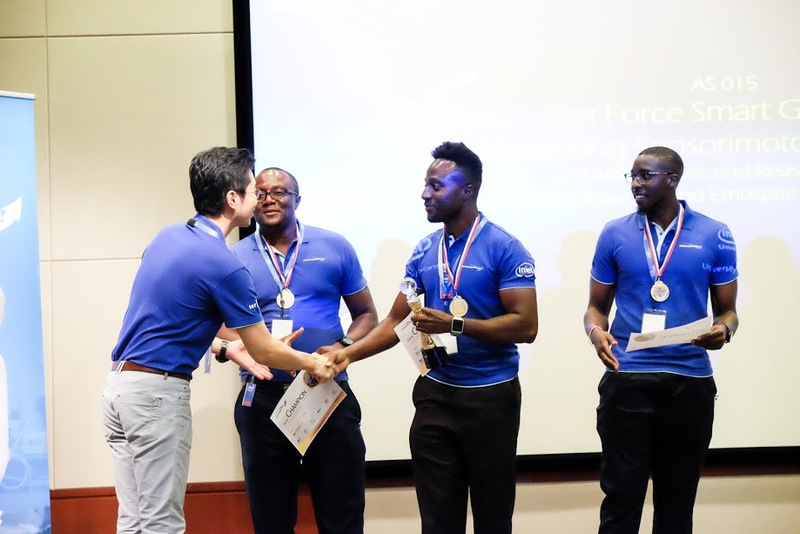 The first InnovateFPGA Global Design Contest ended beautifully! 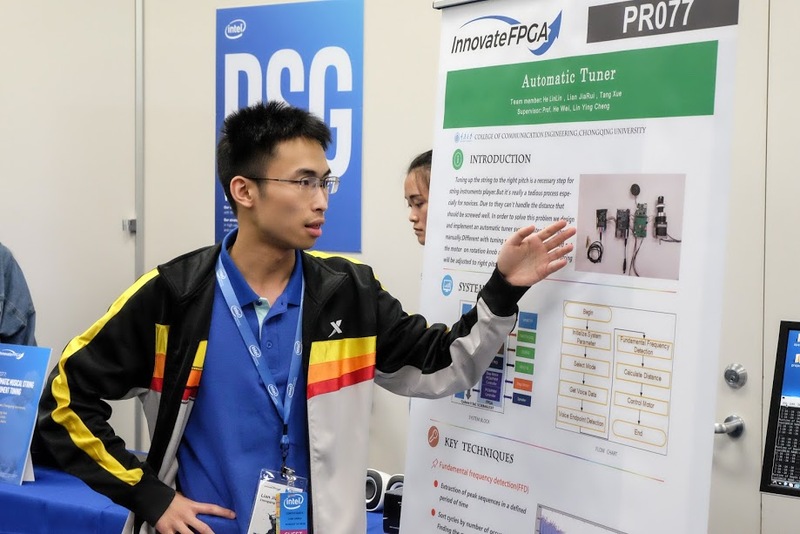 The first InnovateFPGA Contest had a successful ending! 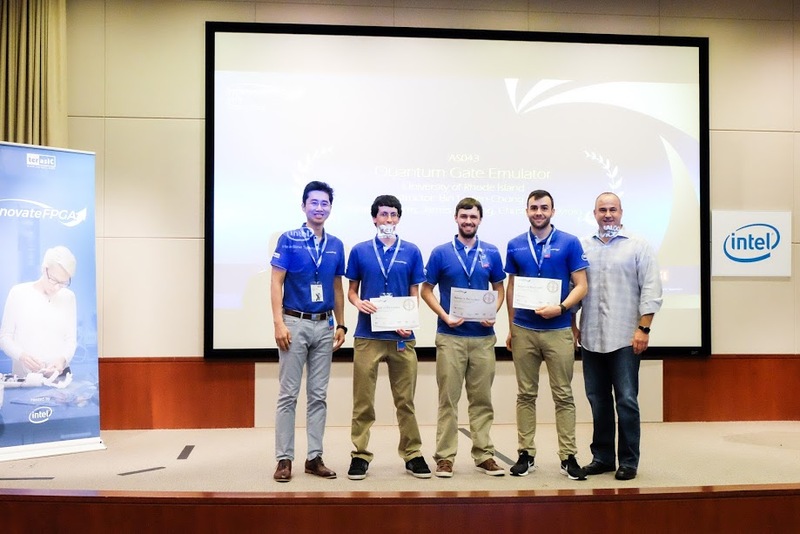 Beijing Jiaotong University won the Bronze Award! 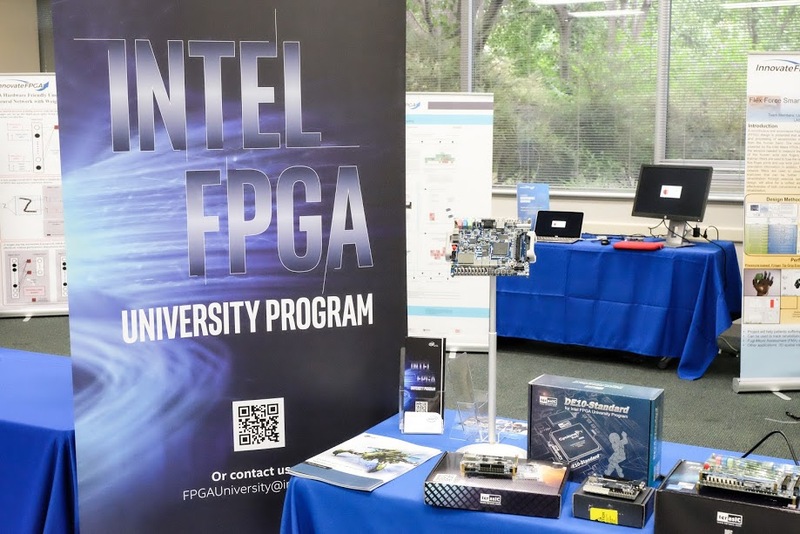 InnovateFPGA Award Ceremony – team from ChongQing University won the Iron Award with their FPGA-based Automatic Tuner and happily took photos with Terasic CEO, Sean Peng & Intel Senior Manager, Keith Woollvin. After the Grand Final event, all the participants took a group photo at dinner party! 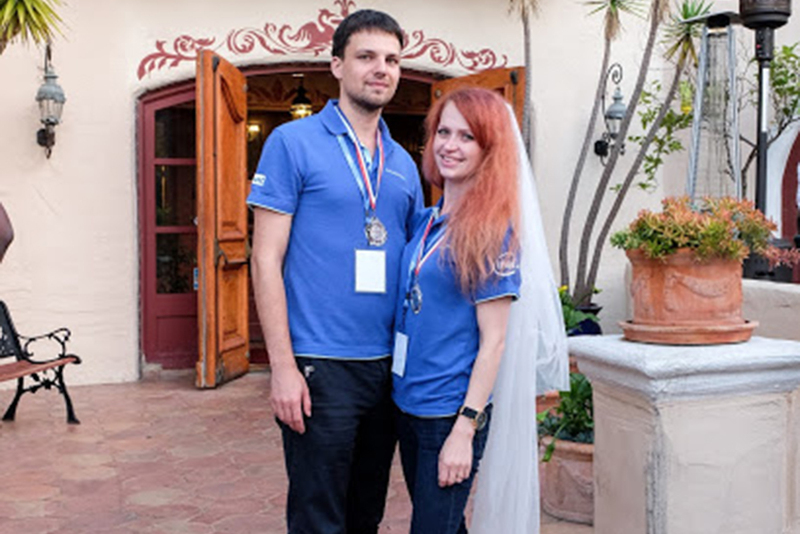 The Russia team, a newly-wed couple, won the Silver Award. 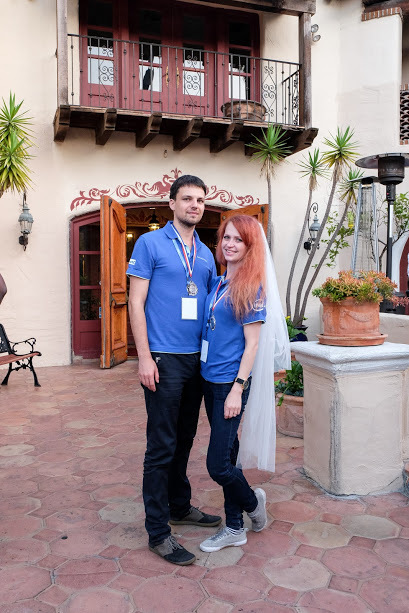 The brought the wedding veil with her and wore it excitedly at dinner party. 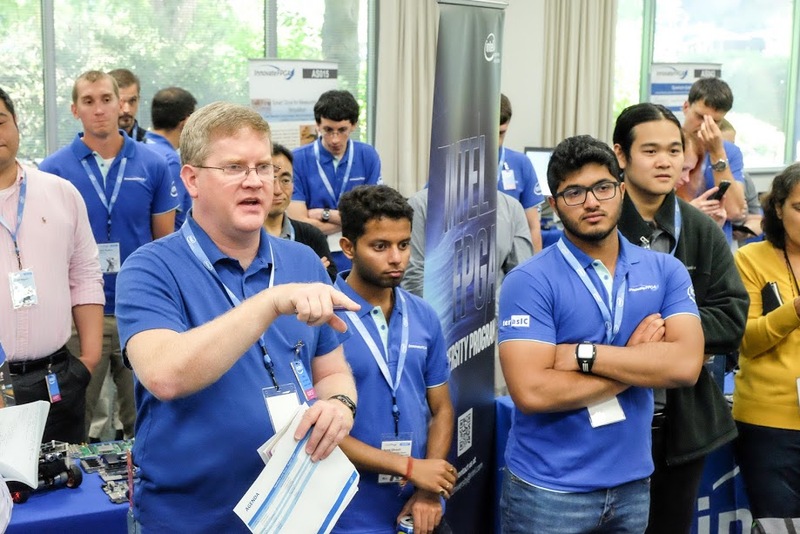 Prof. Scott Hauck from University of Washington gave in-depth comments and suggestions on all projects. 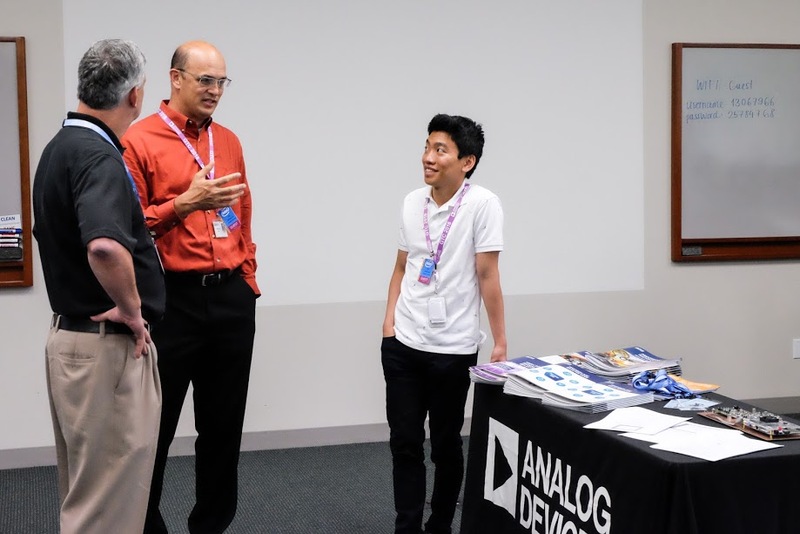 David Sandys, The Chief Editor of DigiKey, passionately exchanged ideas and thoughts with contestants. 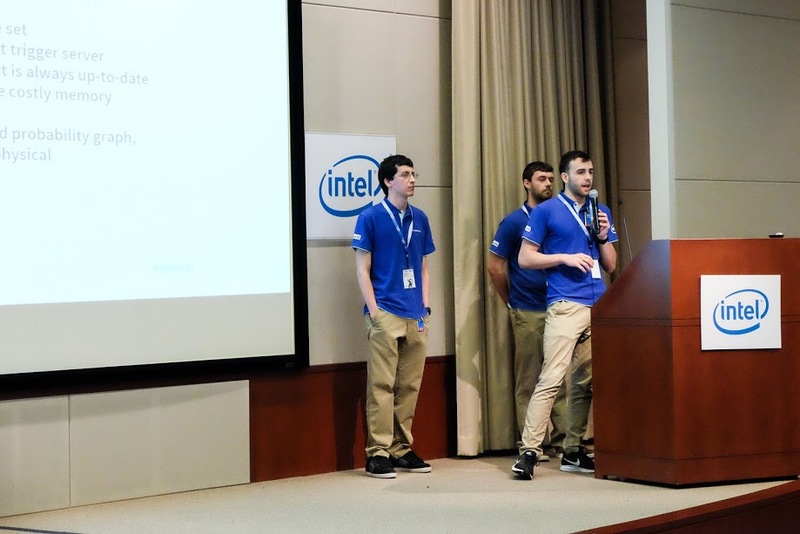 The Italy Team listened with concentrated attrition to the judges. 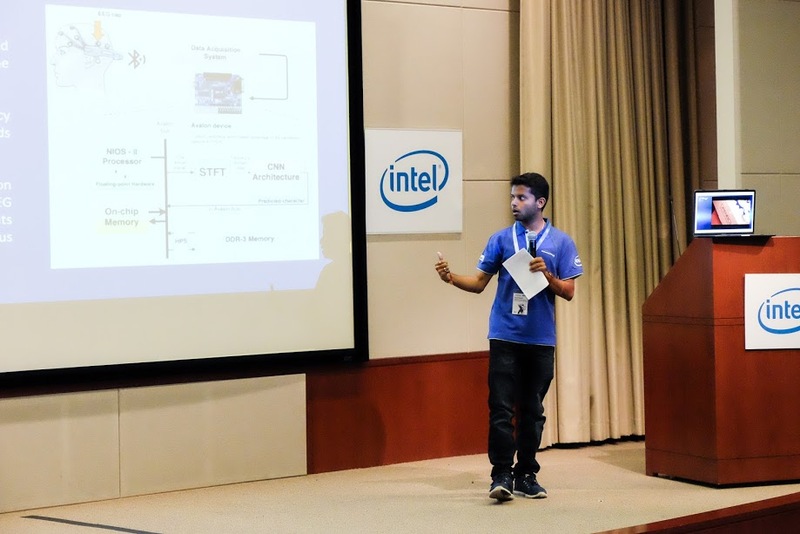 Commentary Session – Landis Lawrence from Intel FPGA University Program provided technical advice to teams. 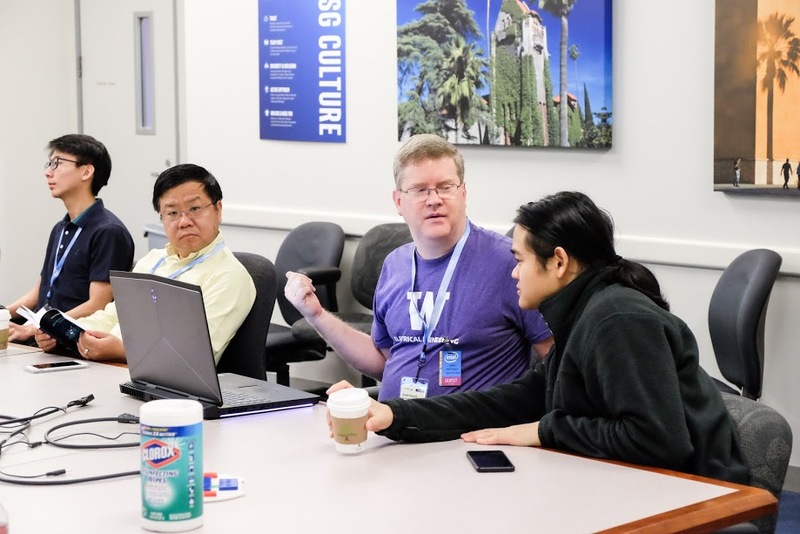 Commentary – Dr. Deming Chen from University of Illinois, Urbana Champagne, gave insightful comments on all projects. 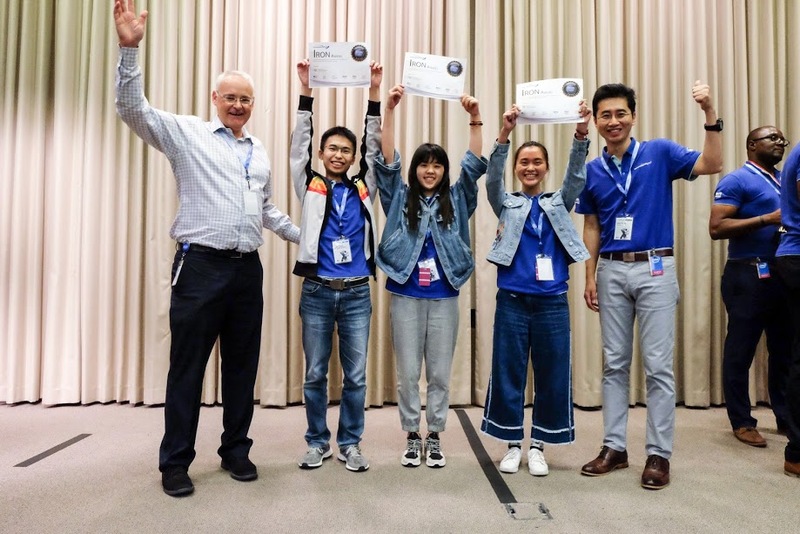 A great panel of judges comprised of scientists from academia & Intel gave the most professional feedback to teams (the left is Prof. Peter Athanas from Virginia Tech). 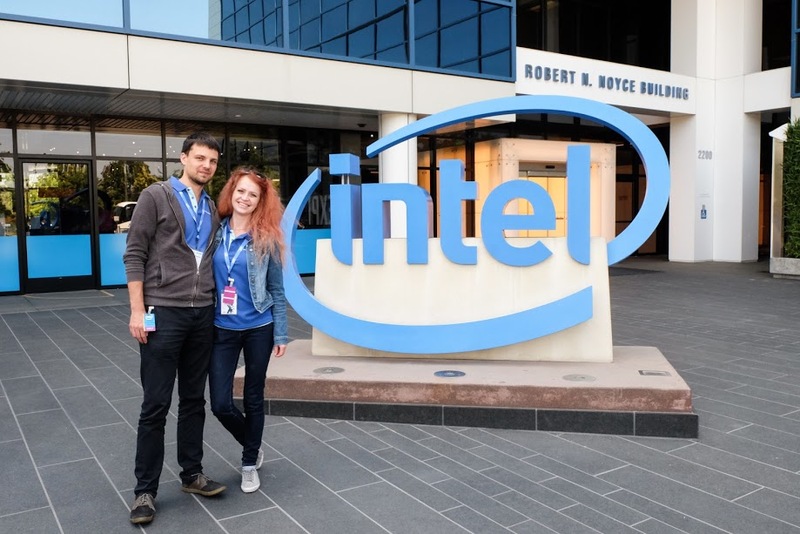 The day after Grand Final, teams were invited to visit Intel Museum and Analog Devices’ Labs. 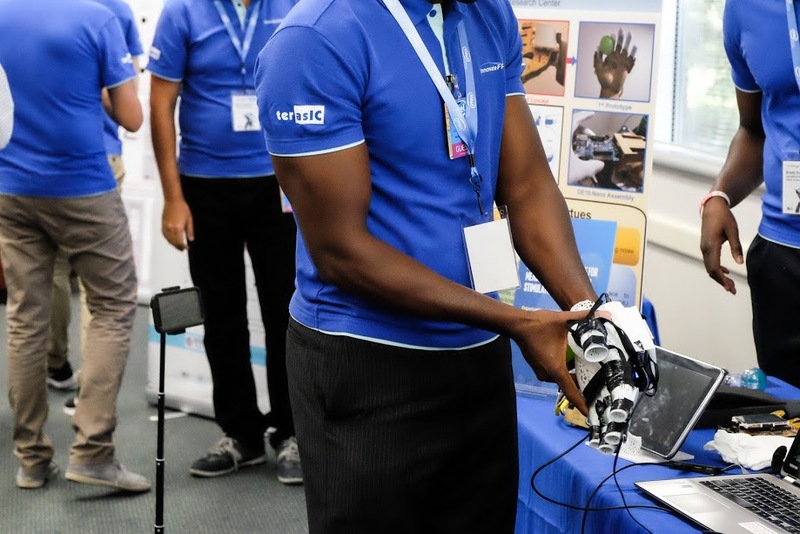 The Flex Force Smart Gloves can facilitate effective rehabilitation for patients suffer from stroke or joint-related injuries.